This Day in Presbyterian History · M.D. You are currently browsing articles tagged M.D..
On a recent post we offered the remembrances of Dr. William Engles reflecting on the life of the Rev. Jacob J. Janeway. Here today, a brief look at the life and ministry of Dr. Engles. A Life of Selfless Service. William Morrison Engles was born in Philadelphia on October 12th, 1797. His father was Captain Silas Engles, of the Revolutionary Army; his mother was Anna (Patterson) Engles, a lady from a distinguished family. Both parents were noted for their intelligence and for their accomplishments. William graduated at the University of Pennsylvania in 1815, studied theology with Dr. Samuel Brown Wylie, of the Reformed Presbyterian denomination, and was licensed by the Presbytery of Philadelphia on October 18th, 1818. 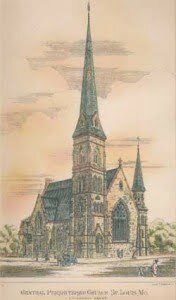 Then on July 6th, 1820, he was ordained and installed as pastor of the Seventh Presbyterian Church, also known as the Tabernacle Presbyterian Church. Here his ministry was faithful and successful, but in 1834 he was obliged to resign, on account of a diseased throat. From the pulpit he stepped into the editorial chair, succeeding Dr. James W. Alexander as editor of The Presbyterian, in which post he continued, until the day of his death, for thirty-three years. Under his supervision this newspaper attained an increased circulation and a high reputation as the leading organ of the Old School party. Then in May of 1838, Rev. Engles was appointed editor of the Board of Publication for the Presbyterian Church in the U.S.A., which post he held for twenty-five years, while yet retaining the editorship of The Presbyterian. In 1840, he was chosen to serve as Moderator of the General Assembly for the Old School wing of the PCUSA, and then filled the office of Stated Clerk for six years. His death, from an obscure disease of the heart, occurred on November 27, 1867, passing into glory at the age of 71. Dr. Engles owed his reputation more to his pen than to his pulpit. He was too quiet and didactic to be a popular preacher. But to say nothing of his editorial success, to him the Board of Publication was more indebted than to any other individual, according to its own acknowledgment. He took an active part in its inception and progress. He not only rescued from oblivion various valuable works, in danger of becoming obsolete, but added to the Board’s issues a number of treatises from his own prolific pen. As these were published anonymously, they cannot here be specified. Mention, however, may be made of the little volume, entitled Sick Room Devotions which has proved of inestimable service, and The Soldier’s Pocket Book, of which three hundred thousand copies were circulated during the war. “And when the chief Shepherd shall appear, ye shall receive a crown of glory that fadeth not away.” – 1 Peter 5:4 . Of Rev. Engles, it was noted that he “was exceedingly averse to anything that savored of mere eulogy or panegyric upon his own services”, so much so that even his own funeral service would not have been attempted but for the urgings of numerous friends. Let your eye be fixed upon the heavenly goal; let your work here on earth, whatever that may be, be a work done as unto the Lord, and not with an eye to the applause of the world. December 24: Benjamin Rush, M.D. He has a number of “firsts” associated with signers of the Declaration of Independence on July 4th. He was the only physician who signed that historic document. He was the only Presbyterian signer who was born in America. He was the first professor of Chemistry in America at the Philadelphia College. Who else can claim to have cured an epidemic of yellow fever in Philadelphia? He was considered the father of American Psychiatry. He was a founder of the Philadelphia Bible Society. Who was he? If you answered Benjamin Rush, pat yourself on the back. Born December 24, 1745 in Philadelphia, Pennsylvania, this fourth of seven children into an Episcopal home, he often went with his mother after the death of his father to Rev. Gilbert Tennent’s congregation in that eastern Pennsylvania city. Benjamin’s mother, under the latter’s influence, reared her son in Calvinistic principles. He memorized the Westminster Shorter Catechism in his youth. Early education was provided by Rev. 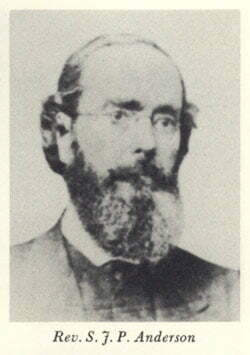 Samuel Finney, later a president of the College of New Jersey. Indeed, after training at West Nottingham Academy, Benjamin studies and graduated from the College of New Jersey in 1760. On January 2, 1776, Rush married Julia Stockton, the youngest daughter of Richard Stockton, a fellow signer of the Declaration. They were married by the Rev. Dr. John Witherspoon, president of the College of New Jersey and a fellow signer of the Declaration as well. On July 4, 1776, Benjamin Rush placed his signature on the Declaration of Independence. Indeed, he followed up that action by serving as a physician with the Continental Army, and in combat at Trenton and Princeton. Later in the 1780′s, the good doctor and patriot persuaded his fellow Presbyterians to establish Dickinson College, in Carlisle Pennsylvania. We must acknowledge in this essay that while he received much training in both youth and adulthood, his convictions about Presbyterians were more passive than an active following. That would explain how he later on in life transferred his membership to the Episcopalian faith and even some branches of the Universalist church before finally coming back to the Presbyterian faith. Still in all of these moves, there was a love for the Bible, which he read daily, an esteem for Christ, to say nothing of Christian conduct. He would often mention the name of Jesus Christ in his writings, lectures, and letters. He passed away in 1813 and was buried in Christ Church cemetery. Words to live by: There seems to be no doubt that Benjamin Rush was a consecrated Christian, albeit there were times when he disagreed with denominational figures. Still the training he received as a youth had a way of coming back into his life and making an impression there for true doctrine. This should encourage all Christian parents to both teach and live Christ, and Hims crucified, before their families. God is faithful, and will bring fruit, although it may be long in coming to our children. See Proverbs 22:6. From The Christian Observer, vol. 52, no. 40 (1 October 1873): 1, column 6. Rev. 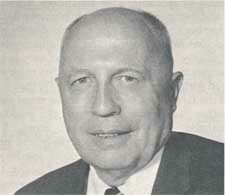 S. J. P. Anderson, D.D. The life of Dr. Anderson, up to the time of his failing health, and retirement from the ministry, had been one of remarkable success. He was born in Prince Edward county, Virginia, on December 5th, 1814, the son of Sterling C. Anderson, of Appomattox, VA. The early years of his life were spent in the country, on the farm of his father, where, at a village school, and with the aid of a tutor at home, he was prepared for college. In 1831, he went to the University of Ohio, at Athens, and afterwards to Hanover College, Indiana, where he graduated in 1835. His theological course was pursued at Union Theological Seminary. The first charge of Dr. Anderson was at Danville, Virginia, where he remained five years, the pastor of a large and constantly increasing congregation. From Danville, he removed to Norfolk, VA, where he soon took rank as one of the ablest and most effective preachers in that State—so famous for its preachers. After remaining five years at Norfolk, he was called to St. Louis, and in 1851 was engaged as the pastor of the Central Presbyterian church in that city. At the time that Dr. Anderson took charge of the church it was far from being in a prosperous condition. It was yet in its infancy, few in numbers, embarrassed with debt, and greatly afflicted by the death of its first pastor, Rev. Alexander Van Court, of precious memory! The task before him was a difficult one; but, by faithful preaching and earnest work, with the blessing of God, he was enabled to accomplish it with success. Under his ministry the church grew steadily, was increased by considerable accessions from time to time, until it became, at length, one of the largest and most influential churches in the city. Amid all the clouds and darkness, however, that gathered about him, his hope of salvation was never for a moment obscured. He was wont to speak often of this as one of the sweet tokens of the favor of God. Everything else in his condition seemed to him to be dark and hopeless, but this blessed assurance of a personal interest in Christ never forsook him. Never did the sky grow so dark above him, but this bright star still trembled on the horizon of his hopes. His faith in Christ was firm as a rock to the last, and simple as that of a little child; his trust was solely on that precious blood that cleanseth from all sin, and he felt that he had nothing to fear. Death, the last enemy, whom we all so dread to meet, was disarmed of its terrors to him.–Old School Presbyterian. The Rev. S.J.P. 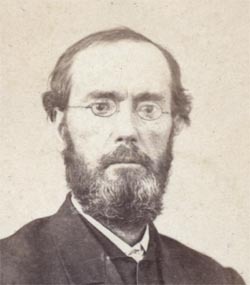 Anderson breathed his last on September 10, 1873. The influence of the Bible on liberty: an address, delivered before the Union Society of Hampden Sidney College, September 18, 1845. Richmond, H.K. Ellyson, 1845. 32pp. “Form and Spirit,” in The Southern Presbyterian Review, 4.2 (October 1850) 177-197. “Notes on the Miracles of our Lord,” in The Southern Presbyterian Review, 4.4 (April 1851) 580-589. “The Variety of Shakespeare, in The Southern Presbyterian Review, 4.3 (January 1851) 343-357. “The Unity of the Human Race, in The Southern Presbyterian Review, 5.4 (April 1852) 572-601. “Commemorative Discourse,” in A memorial of the Rev. Stephen Griffith Gassaway, A. M. : late Rector of St. George’s Church, Saint Louis. St. Louis: Printed at the “Missouri Democrat” Office, 1854. “The Prophets of the Restoration,” in The Southern Presbyterian Review, 9.4 (April 1856) 513-519. The Power of a Christian Literature : a sermon on behalf of the Assembly’s Board of Publication. Philadelphia : Presbyterian Board of Publication, 1858. 34pp. “The Fulness of Time, in The Southern Presbyterian Review, 11.4 (January 1859) 556-570. The Dangers and Duties of the Present Crisis! : A Discourse, delivered in the Union Church, St. Louis, January 4, 1861. St. Louis, Mo. : Schenck, 1861. 18pp. To view this title, available on the Web, click here. February 1: William H. Chisholm, M.D. William Hugh Chisholm was born February 1, 1894, in Emerson, Michigan, to godly parents, Hugh and Mary MacLennan Chisholm, who had immigrated to the United States from Scotland, bringing with them that Scottish Presbyterian background. Despite difficulties connected with his father’s health, William managed to attend the University of California and later the University of California Medical School. He graduated in 1921 and did his residency in San Francisco. Then by the summer of 1923 he had been appointed a medical missionary to Korea under the Board of Foreign Missions of the Presbyterian Church, U.S.A. Through the fellowship of this wonderful man, Bill learned to pray. He started praying for his pastor, an unbeliever in a modernist church. Some weeks later this man received Christ as his Savior, openly rejected the unbelief he had been preaching, and came out totally for Christ and the Word of God. Other wonderful answers to prayer were experienced at this time. Skipping ahead in Dr. Chisholm’s story, in September of 1923, Dr. Chisholm and his wife sailed for Korea, and in October they arrived in the small city of Syen Chun near the Manchurian border, where they were to labor for many years in medical missionary work. It was not long before Bill realized that he had come to an impasse. The senior missionary did not believe in any Gospel preaching in the hospital; instead, good works were to lead the patients to God! Again Bill went back to God in prayer, saying, “Lord, open up a way to present the Gospel to these patients.” Shortly thereafter that senior missionary came down with an acute pain that could not be diagnosed and he had to return to America. Thus this obstacle was removed and Bill had free course to give out the Gospel! There are many, many more stories concerning this amazing life of this medical missionary. His was truly a life marked by prayer. 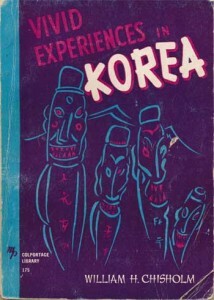 Upon returning to the States some years later, Dr. Chisholm authored a book, titled Vivid Experiences in Korea. If you can find or borrow a copy, it is well worth the reading. A few copies show up on the used book market from time to time. God tells His people to call upon Him. He tells us to come before His throne with our needs. And He promises to hear our prayers. “Call unto me, and I will answer thee, and shew thee great and mighty things, which thou knowest not.” (Jer. 33:3). December 24: Dr. Benjamin Rush, M.D. Later in the 1780’s, the good doctor and patriot persuaded his fellow Presbyterians to establish Dickinson College, in Carlisle Pennsylvania. He passed away in 1813 and buried in Christ church cemetery. WLC 88 — “What shall immediately follow after the resurrection? Tags: Dr. Benjamin Rush, M.D.